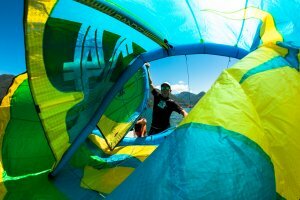 For a summer kitesurfing spot in Europe, Lake Como is hard to beat. Surrounded by the towering peaks of the southern Alps, Lake Como is just 90 minutes from Milan, 3hrs from Zurich, and 4hrs from Geneva. The 162 square kilometre lake provides unbeatable learning conditions, and a perfect playground for more advanced kiters. Unlike the better-known lake Garda, Como is never too busy and the wind is significantly more reliable during the summer months. 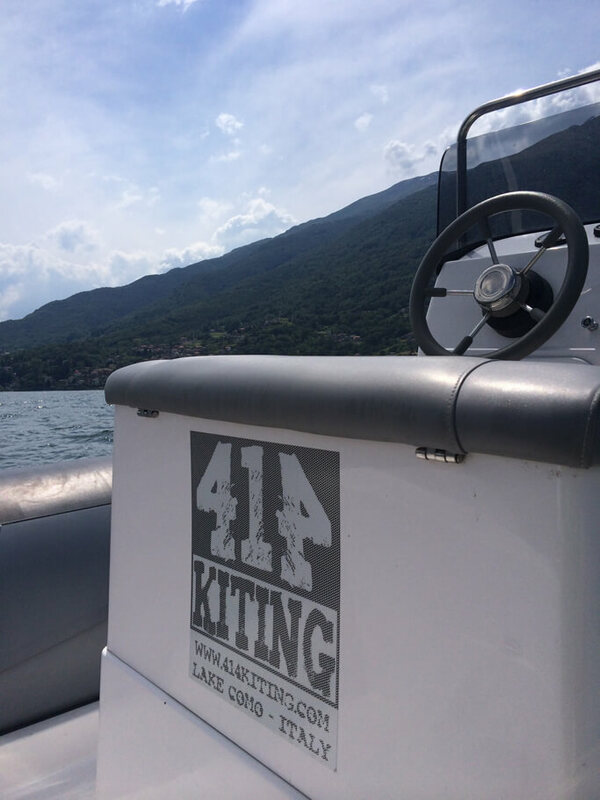 414 Kiting is open between April and October when the kiteable thermal winds blow, but you can contact us at any time outside these months as well. Our kitesurfing courses can be tailored to suit your needs, so whether you’re a complete beginner just looking to try the sport, a more advanced kiter looking to learn free-style or to ride a surf-board, or whether you simply want an epic kite session with the safety and convenience of a support boat – we can help! All our courses are run with the only the latest F-One equipment, and are designed to make learning kitesurfing as safe and fun as possible – with no corners cut. Our team can teach in English, German, French, Italian & Russian! All our water-based teaching is done from boats in the safety of the middle of the lake, with no obstacles and nothing but endless space to exploit. Your instructor will never be far from you when you learn on the lake. Our boats are very quick between students to give you tips/help if needed. When you learn from a beach, your instructor is often very far away and unable to get to you to assist you when you need help, so you only benefit from help when you’re on the beach!